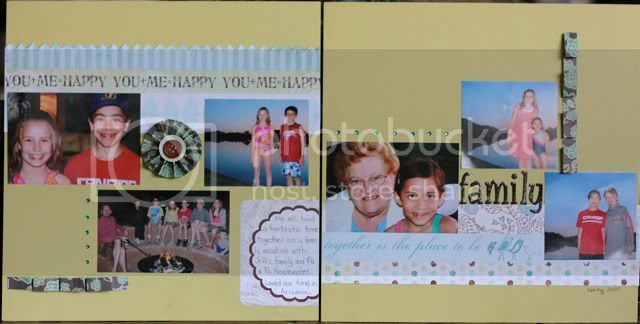 As I promised a couple of days ago, here are the remainder of the layouts I completed at the Scrapshotz crop last weekend. 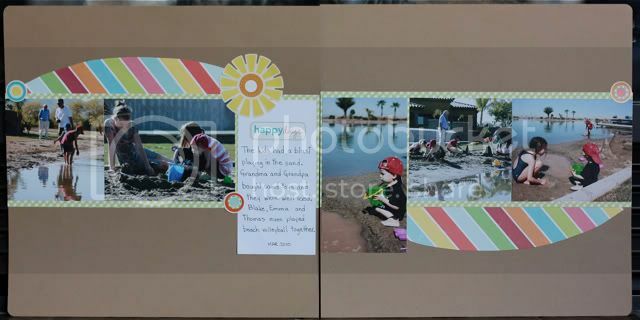 In all honesty, there is one layout that I finished and then completely dismantled and did over again so I actually didn't finish it until Tuesday but that's okay right?! Patterned paper and stickers are from Echo Park's Summertime collection. 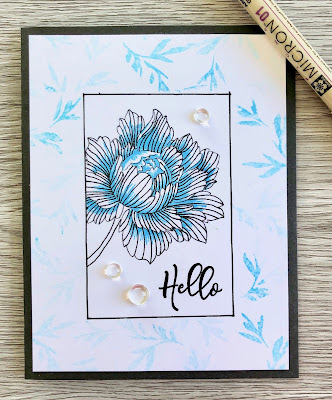 I am really digging the kraft cardstock lately so of course that is the cardstock base I used on this. 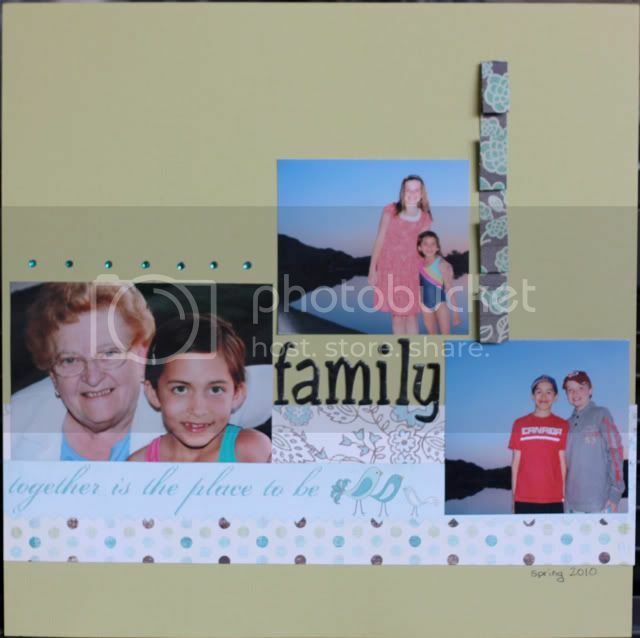 This layout uses items from the Scrapshotz October kit in addition to Thickers and gems adhered with the iRock tool. 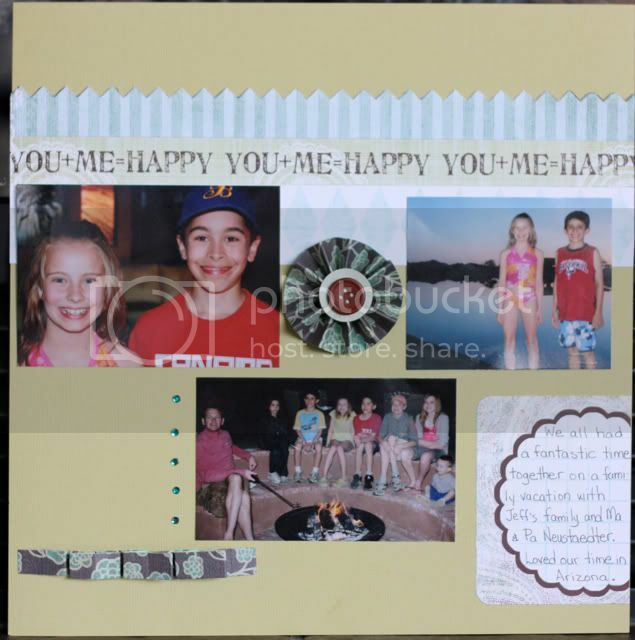 Yes this is the layout I re-scrapped from last weekends crop. 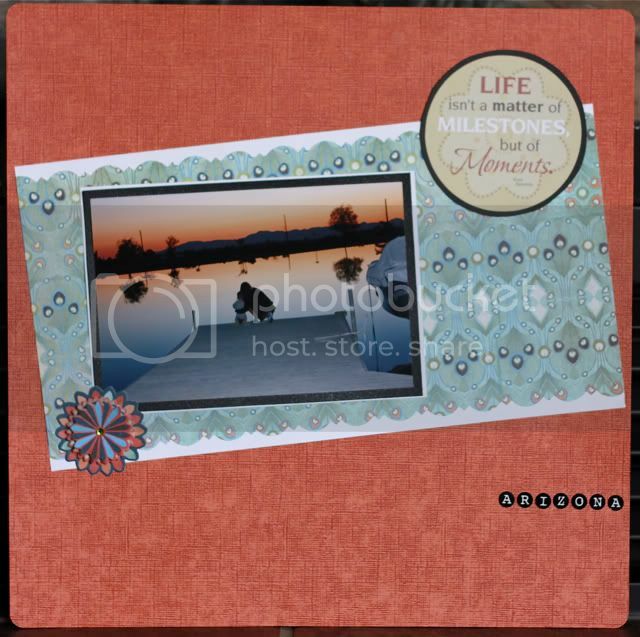 I used Coredinations cardstock for the base of this, Basic Grey Marrakech patterned paper and "flower stickers" and the quote is from Creative Imaginations. I adhered a gem on the flower with the iRock tool and used Glitz alphas for Arizona. I did not complete a large volume of layouts but I had a great time hanging out with my 2x/per cropping friends. I can't wait for the NSD crop in May!